Ibrahim Mohamed Solih was inaugurated as the new president of the Maldives on Saturday after the opposition in the September elections ousted the strong leader of China, Abdulla Yameen. Solih, 54, emerged as a common opposition candidate because all major dissidents were captured or exiled by Yameen, who seized power after a controversial second round in 2013. In a special parliamentary session at the National Football Stadium in the capital Male, Solih was sworn in by the Prime Minister of India, Narendra Modi, among those present. The Ministry of Foreign Affairs of the Maldives said that the Chinese Minister of Culture, Luo Shugang, had also been invited. 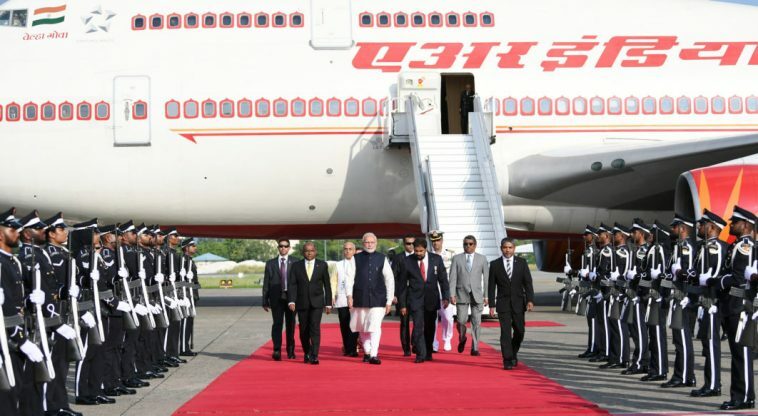 The presence of Modi was a reflection of the relief in India, which has been prevailed in the archipelago, and in the West Yameen has been driven out. The United States and the European Union had threatened to impose sanctions if the vote had not been free and fair. Both neighboring India and Western countries were watching with concern as Yameen approached Beijing, borrowing the strategically located archipelago millions or dollars for infrastructure. "I am convinced that my visit marks a new era of even closer exchanges and cooperation between our two countries," said Modi on Facebook, particularly on "infrastructure, health, connectivity and staff development." The Maldivian Democratic Party (MDP) or Solih has promised to go to what she calls 'the colonialism of China' and to oppose a 'land grab' in the country that stretches along the main shipping routes from this to the west. MDP leader and former president Mohamed Nasheed promised that his party would reduce dependence on China and renegotiate millions of dollars in loans borrowed from Beijing. More than 80 percent of the foreign debt of the Maldives is due to China, he said. China also borrowed other countries around the Indian Ocean and beyond as a part of the Beijing Belt and Road Initiative, which is alerting the West. Last year Sri Lanka was granted a lease of 99 years in the deepwater port of Hambantota to Beijing, after having paid the Chinese loans for the $ 1.4 billion project. Mahinda Rajapakse, the prime minister of Sri Lanka, when Colombo took up the loans, is trying to regain power in the current crisis that is affecting the island nation. During a recent visit to Colombo in the middle of his election campaign, Solih told reporters that he wanted to restore ties with his immediate neighbors, Sri Lanka and India. Yameen has awarded large infrastructure projects to China, while taking over a major airport development from India. He also relied on diplomatic support in Beijing, because the Maldives were isolated from the deplorable rights. Modi had canceled his first visit to the country in 2015 after Yameen had stopped India in favor of India and eventually sentenced him to terrorism and held him prisoner for 13 years.